The domain of vision correction has come a long way from an era driven majorly by spectacles and contact lenses. SupraLASIK™ is also a result of this evolution. It is being touted as the next generation of laser eye vision correction to give you complete freedom from glasses or contact lenses. The first thing to come to mind when one hears about SupraLASIK is its comparison to the commonly known LASIK eye surgery procedures. But there is a difference when you compare SupraLASIK to the other eye surgery procedures. Before we delve deeper, let’s take a look at the key differentiating factors of SupraLASIK that makes is likely to make it a popular option in the days to come. There is no cutting or surgery involved making the process extremely safe and comfortable. Above all, the process promises superior results with greater accuracy and precision. The technique has been developed in a manner to complete the process in less than sixty seconds per eye. 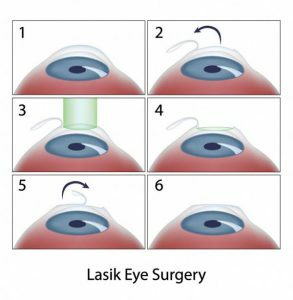 Taking it ahead, SupraLASIK is different from LASIK or IntraLASIK because it does not require any cutting or flap. With the cutting gone, the procedure is no longer surgical. Cutting the cornea in the LASIK procedure is also what adds the risk factor to the entire process which sometimes can cause the dreaded LASIK complications such as dry eyes. Avoiding the flap or any cutting altogether, this risk is eliminated. The SupraLASIK procedure is performed using the Schwind Amaris excimer laser platform. This is one of the most sophisticated‚ precise and advanced lasers used in eye surgery in the world. The procedure usually takes under 60 seconds per eye to perform where there is virtually no contact with the eye itself. The laser simply reshapes the cornea to completely correct short-sightedness (myopia)‚ long-sightedness (hyperopia)‚ astigmatism and all other irregularities in the cornea which tend to affect the ability to see. This also includes higher order aberrations. SupraLASIK™ utilises all the available advances in laser vision correction optimization such as wavefront customized treatment plans to guarantee better effectiveness for the patient. Not just the eyeglasses prescription, SupraLASIK also takes care of the irregularities that tend to affect the ability of the cornea to perform its function. This further adds to the precision and refinement of visual outcomes from this procedure. The SCHWIND AMARIS laser systems are developed in Germany by independent experts. 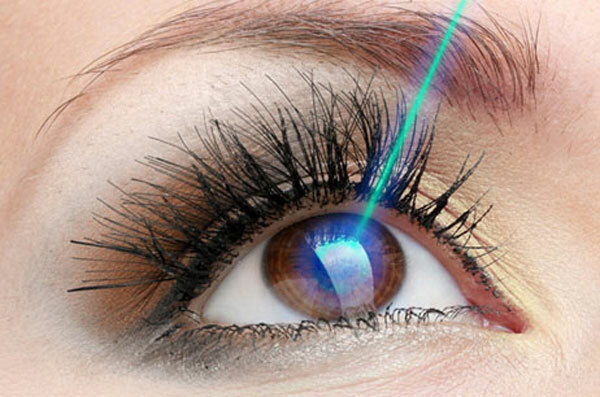 They are said to be the highest standard among eye lasers for refractive surgery. The unique technology powering these lasers allows the user to set precise levels of accuracy while operating on the eye. There is barely any touching of the eye involved in the entire procedure. The only sensation reported is often that of the saline fluid used at the end of the procedure to keep the cornea wet and clean. This is very different from the other known procedures which require manual or laser cutting of the cornea. This increases the safety of the process and at the same time ensures greater accuracy of the treatment. Also any potential risk of long term corneal haze is significantly reduced by the use of a special medicine applied at the end of the procedure. 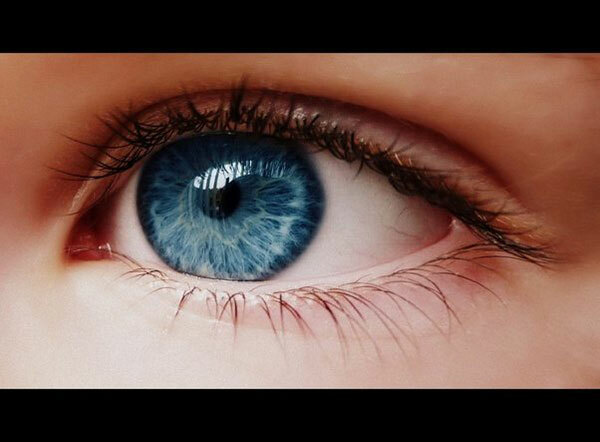 During the first 48 hours after the procedure‚ patients normally experience watery‚ light sensitive eyes. During this period doctors advise patients to stay at home and basically to avoid prolonged visual activity. After this period the eyes are comfortable but the vision is not stable due to a special protective healing lens that is placed in the eye at the end of surgery. This lens is removed on day 5 after which the vision stabilises further. SupraLASIK can correct up to 6 dioptres of astigmatism. While the minimum age limit to be eligible for SupraLASIK is 18 years, there are no guidelines to define the upper age limit. However, the number of cases that have been evaluated till date indicate that patients above 60 years of age often face a problem because they have already developed other eye related disorders. This prevents the candidate from being suitable for SupraLASIK™. Since the treatment has a minimal impact on the thickness and strength of the cornea‚ the doctors can easily advise the patients to repeat it if ever necessary in the future. As of now, there are only a limited number of centers in the world able to offer SupraLASIK. The Lifetime Care Guarantee Option! This could easily be one of the reasons why SupraLASIK is very different from the other vision correction surgeries that we have come across till date. The developers of this technique are offering a lifetime care guarantee on its effectiveness. This actually means patients who have opted for SupraLASIK need not worry about going back to their glasses or contact lenses. Even if they do, they will be treated till their vision recovers. This clearly shows that the developers of this technique are extremely confident about its effectiveness and have the track record of almost a decade of trouble free patients to prove it.